How to Choose a Right Business Strategy for a Startup? 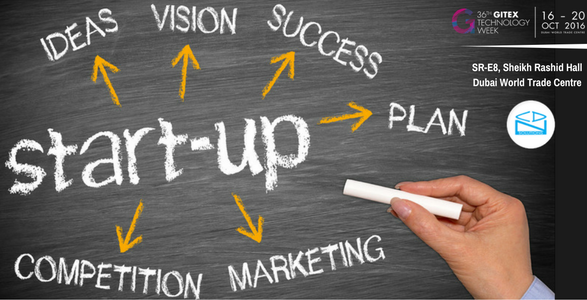 “Startup” is the buzzword around the world, not for the wrong reasons as well; some of the successful startups have solved age old problems very smartly, in some cases created a new vision and new consumer behavior. Startups like “Whats app”, has made staying connected so easy, it has helped business to communicate smarter. Startups like Uber, Foodpanda, Airbnb, Dropbox, Square and many more are hugely successful for one reason only; they had a sound business strategy to their business. Many startups only plan till the time they get funded or develop a solution hoping some would buy it out. This is such a myopic view that most of such startups either do not take off or die off soon. During my travel I prefer to book a cab through a very popular startup in India called the “OLA cabs”, I like to interact with drivers to have a better understanding of the strategy of the business owners. For all the common person using the service the multi-billion dollar startup is just an app that allows you to book taxis, but speaking to these drivers in different part of the country made me realize that they had many strategies for the success of the business. Scale up Model: how to expand in business by newer service , new geography or deeper penetration. Exit model: how would we move out of business if needed..
Understanding the above for Ola was great learning journey. What is the problem they are trying to address: to do an analysis to see the need for solution and what is problem they are addressing with it, and whether people would be willing to use it. What is their unique selling proposition: what can be done to make sure that service delivery or the product itself is not out there. How do you Market the solution: what is the target market and how do you take your product to market. How do you scale up: what lies ahead do you have plan for expansion. What is exit strategy: when and how do you expect to return investors’ money? The most critical strategy that a lot of failed startups have ignored is that, how do you return investors’ money with handsome profit. To be a successful startup it is also important to identify the strength of the founder and more importantly their weakness. Knowing your weakness would allow you create right team with right skills and with a right team you would be able to focus on the strategy created and the drive them to achieve it. There many startups, where the founders have hired CEO to take the organization to greater heights. Lastly, the most important aspect is to keep trying and working hard, as the famous Thomas Edison once said, when asked, how did you feel after failing 1000 times while making the bulb “I did not fail 1000 times I just found out 1000 ways, how not to make a bulb”. People who try hard are the ones who get lucky. Meet us in Gitex Technology Week 2016 at stand no SR-E8, Sheikh Rashid Hall, if you are also a Start-up company. We can suggest some good ideas. BYOD – Will It Boost Productivity and Employee Morale? How To Manage Mobile Apps’ Data Through Web Portal?